Spent the last couple of hours watching this PBS documentary, The Buddha. Filmmaker David Grubin presents the story of the Buddha's life and teachings. I felt peace. 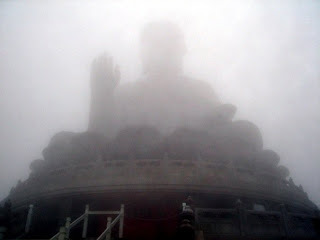 The great Buddha on Lantau Island, taken during my trip to Hong Kong.